Apple called a number of witnesses to the stand today in order to counter the testimony from Samsung’s experts, after which U.S. District Court Judge Lucy Koh said, “We are done,” putting an end to nearly fifty hours of testimony heard by the jury, according to AllThingsD. Both Apple and Samsung have now rested their case in their mega patent suit against one another. Now we need to wait for closing arguments with jury deliberation which is set to take place next week. Testimony ended with a rapid-fire succession of witnesses as both Apple and Samsung raced against the clock. Koh limited each side to 25 hours of testimony before the jury. The two sides still have to finalize the instructions that will be given to the seven men and two women who will decide the case. Each side will also be able to deliver two hours of closing arguments on Tuesday before the jury starts its deliberation. The jury will have to unanimously agree that a particular patent is valid and infringed by a particular device in order for a finding of infringement. There are dozens of different phones and tablets at issue in the case, in addition to the many patents. 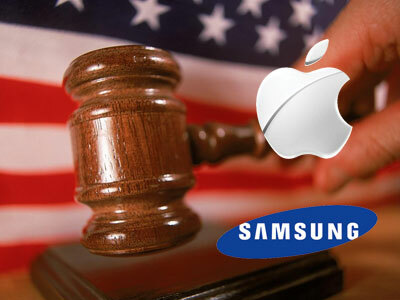 Apple has sued Samsung for violating several patents as well as infringing on several protected design elements, known as “trade dress.” Samsung denies those charges and has countersued Apple for infringing on three feature patents as well as some core wireless patents.